Obstacle course challenge Spartan Race will land in the historic Mleiha desert in Sharjah on February 15. More than 2,500 fitness enthusiasts and adventurers, who call themselves Spartans, have already signed up for the event, organisers said. The Spartan Middle East Championship will feature three race types: Spartan Beast (a 21km course with 30 obstacles), Spartan Sprint (5km course with 20 obstacles) and Spartan Kids, a shorter course for those aged between 10 and 13. 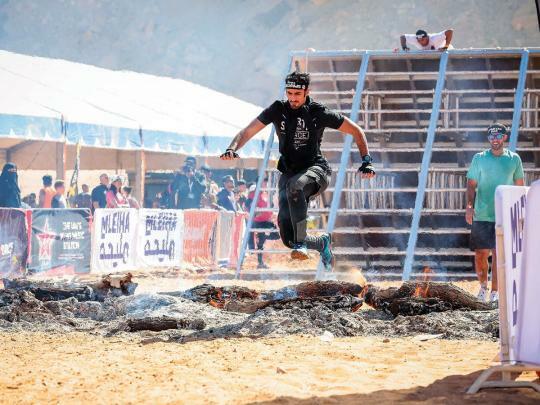 “The challenging Mleiha terrain is what makes me want to come back to this venue every time,” said Emirati participant Hassan Abbas Al Blooshi, 34, who participated in the Spartan Race in 2016. Al Blooshi and his team members are aiming to qualify to be able to represent the UAE at the Spartan World Championship in North Lake Tahoe in September 2019. Tickets, starting Dh532.62 for open heat races, are available online.